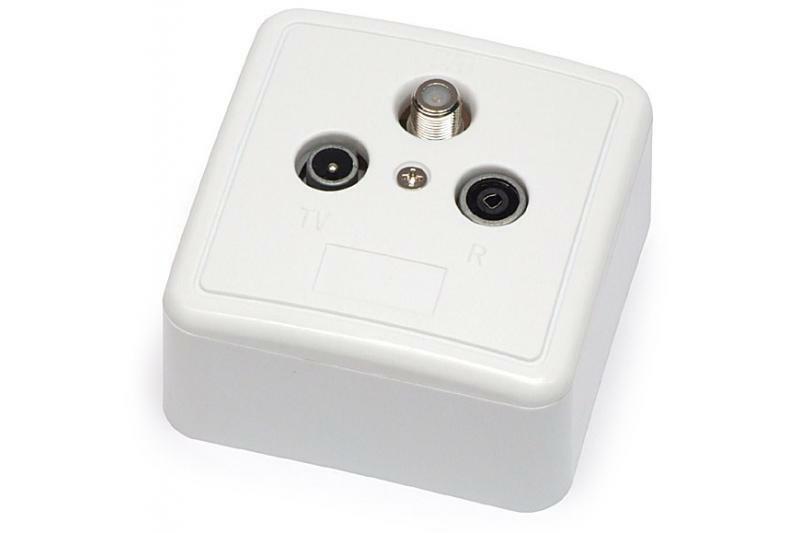 The TV/SAT outlet (wall plate) is mainly used in multiswitch installations, as the terminal outlet to the subscriber's receivers. 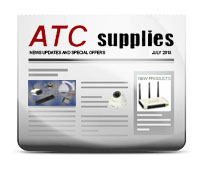 It is suitable for systems where all signals (FM, TV, SAT TV) are combined into one coaxial cable. 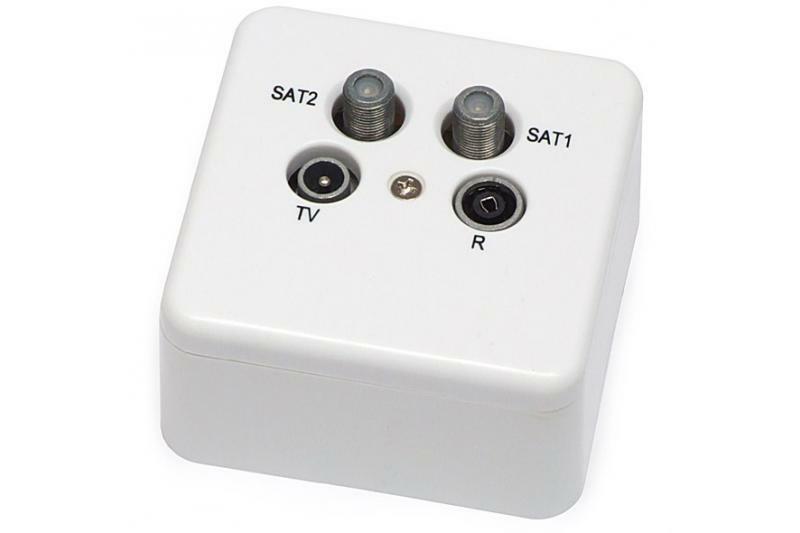 The terminal outlet is equipped with filters that separate the satellite and terrestrial (FM and TV) signals.